The following summary of ancient Andean history is taken from: William Sullivan, The Secret of the Incas: Myth, Astronomy, and the War Against Time. Sullivan compares mythical language the world over with the Andean myths and has found an astounding degree of correspondence. Myths, on one level, represent the people's scientific understandings about the movements of the heavenly bodies and their influences on humans, in an age when there was no method of writing. The myths are metaphors that preserve this knowledge so it can be passed down to one's descendants! Using a special shareware software for the computer, called Skyglobe, Sullivan could roll the Andean skies back to any date in the time periods covered by these myths. (Skyglobe is shareware for pcs or Macs running simulated pc. The ancient Andeans ordered their lives according to what they saw transpiring in the cosmos - as above, so below. Just as other ancient cultures, they seemed to be well aware that events in the heavens are reflected here upon the earth. For over 800 years, from about 200 B.C. to around 650 A.D., the Andean peoples lived in peace, each group or ayllu occupying a particular region, called by archaeologists a vertical archipelago--ranging from the higher slopes straight down into the valley and in some cases to the borders of the Amazon jungle. The Andeans saw the topography of their beloved mountains as a reflection of the Milky Way's heavenly topography. The shaman/priests became excellent astrologer-astronomers. All over Peru in temples you can see boulders that were selected because one of their surfaces seemed to echo or mirror (in silhouette) the local mountain formations, or they were carved to resemble the topography. Also there are flat-topped boulders (usually black) with carved shallow basins in them--probably for star-gazing, seeing the reflections of the stars in the shallow water poured into these basins. Before the year 200 B.C., the Andean tribes lived a nomadic or in some cases semi-nomadic lifestyle. Around 200 B.C. the June and December solstice suns started rising and setting in the Milky Way. This 'firing up' of the heavens caused a corresponding ('enlightenment') change in the Andeans' perspective and way of life. Their myths say that the great God Wiraqocha appeared to them and showed them a better way to live. Wiraqocha's cosmic representative was the planet Saturn. The myths say that before the advent of the primary Andean god, Wiraqocha, the world was dark--there was no light--a metaphor explaining why the nomadic peoples hadn't ever noticed anything special about the lights in the night skies before. A people whose camps changed location nightly due to their wanderings can't really notice certain aspects about the stars in the night sky such as the Milky Way's position at different times of the year and the apparent movement in relation to the horizon of the sun's risings and settings throughout the year. But once people settled in one place, then they could and did notice such things. The god Wiraqocha is said to have persuaded the people from the Lake Titicaca region in southern Peru/Bolivia (from which he is said to have emerged) all the way north into Ecuador to change their semi-nomadic, matrilineal way of life into an agricultural life with descent reckoned from both male and female lines. (Matrilineal means that although a woman owned the property, her oldest brother controlled her and her children. Not an equitable situation!) For the first time, men and women were considered as equals, although they had traditional differences in their life roles. Each ayllu (related group living in a vertical archipelago arrangement) traced its lineage to a particular star and region in the Milky Way! Wiraqocha was said to have created these star ancestors and then sent them under the earth to emerge at particular places in the Andes region. So where each star emerged was where its descendents lived in their ayllus. And the people learned the Law of Reciprocity, or ayni, which meant to them that you helped your neighbors, shared and traded, rather than warred upon them. These fixed stars that were their ancestors did not move about and war with each other, therefore, the people should stay put and share! This pleasant way of life was doomed, however. The people multiplied too fruitfully, putting great strain on the land's resources. Around 600-650 A.D. the shaman/priests became alarmed--they predicted a 'great flood' would upset their way of life! They foresaw it in the behavior of the Milky Way and the solstice suns! And according to the myths from this time period, the god Wiraqocha had to leave the earth and return to the heavens while the gate was still open--while the solstice suns still rose and set in the Milky Way! For the first time a differentiation of classes of people arose. At first it was warriors and peasants. The Johnny-come-lately warrior class invented their ancestry also in the cosmos, to legitimize their rights to exist as a separate class by claiming their descent from the god Mars! Since Mars wandered in the heavens, the warriors claimed they had the right to wander and to settle wherever they wanted to. They also claimed that in return for their services of defending the peasants, the peasants owed them land and food. A new twist in the Law of Reciprocity! After a period of shiftings of power as groups warred with each other, an elite class arose who controlled the warriors and peasants by exacting a labor tax or tribute. For another period of a little more than 800 years, this unsettling state of warfare kept the people from experiencing any modicum of peace and settled lives. Again a change in the stars--and this is when the Inkas rose to power and established a peaceful empire over this whole Andean area of Wiraqocha's influence, claiming Wiraqocha as their ancestor, thus giving them the 'divine right' to take over. But this empire of peace and unprecedented prosperity lasted only about 100 years - one century - until the Spaniards showed up! How could a mere handful of 250 Spaniards have so easily conquered such a powerful empire of millions of people? Well, it seems that again the shaman/priests foresaw this next pachakuti in the stars! It was inevitable, they felt! The prophecy had been made and there was nothing anyone could do about it! Even though the Inkas felt there was nothing they could do, they did try to stop time! They used all sorts of rituals and sacrifices to try to stop the linear flow of time. But nothing worked. And then along came the horrible disease of smallpox. Historians have credited Pizarro's men with having brought smallpox to Peru. But there seems to be some evidence that the smallpox filtered down from the northern parts of South America where it had already made itself felt. 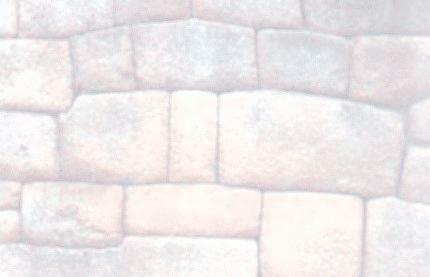 It appeared in the Andes before Pizarro arrived in Cuzco. Huayna Capac, the last Inka, had just sealed his northern borders and was enjoying some R&R in Quito, when he received the news that strangers were approaching. So he went into seclusion and fasting, hoping for a vision that would give him some information about how to deal with these strangers. He had a vision of three dwarfs who told him they came to call him. To him this meant he would die soon. His son and chosen heir then died of the smallpox and Huayna Capac contracted the disease and died. Thus with no proclaimed heir, two other of his sons each declared himself the Inka and civil war broke out over their rival claims. The shaman-priests of Huarochir� invented one last myth. It doesn't seem to make much sense when we read it today. It tells of the god Wiroqocha visiting with Huayna Capac and of sending several priest-shamans to fetch one of Wiraqocha's sisters from the world's lower foundation. Various shamans volunteered, a condor shaman, a falcon shaman and a swift shaman. These shamans traveled in the forms of these birds. The swift shaman brought back the sister. Then Wiraqocha drew a line across the world and told Huayna Capac to stand in one part with Wiraqocha's sister, while Wiraqocha would remain in the other part and they would never see each other again. Huayna Capac opened a box that the god had given him and the world lit up with lightning. The Inka said he would never return from the place where Wiraqocha had told him to stand. So the Inka told one of his men to go forth in his stead to Cuzco and proclaim to the strangers that he was Huayna Capac. Then after the Inka died, men adopted the habits of scrambling for political power, claiming, "Me first!" And this is the way that the Spaniards found them. Sullivan says of this myth, "Part of the charm of this tale lies in its adherence to the irrepressibly buoyant style of all the Huarochir� myths. Free from the claustrophobic intimation of doom that permeated Inca thought, its power comes from the fact that, more clearly than any other story that has come down to the present, it permits an unobstructed view of the thought processes of the 'classical' school of native Andean mythography." Using the Skyglobe software, Sullivan played out this myth in astrological terminology. The myth described a conjunction of Saturn (Wiraqocha) and Jupiter (Huayna Capac). Venus (the sister) entered soon after and then Mars (the planetary ruler of war). This series of celestial events must have occurred near the date of the last Inka's demise. Another condition was that the Western Scorpio's tail would have to lie in a particular position (invisible to the shamans, who called this the world's lower foundation). Sullivan's question was, "Is there any way to 'read' the astronomy of the myth...., other than ....if its characters are understood as planets..." The meaning must be very precise: "first Saturn and Jupiter, then a flash of Venus, then the meeting of the three, then their disappearance, then the reign of Mars." He also had to account for movements of three stars that would represent the three shamans, the condor, the falcon and the swift. Indeed, on Febuary 1, 1524, such events were observed in the Andean skies. Huayna Capac died the next year, 1525. But a few authorities feel he died in 1527. Sullivan feels that this final myth was created after the Inka's death, but is based upon the shamans' observances of the celestial events of Februray 1 of the previous year. Of course, there is much more to Sullivan's explanations and of his comparisons of mythologies the world over with astronomical events. This makes for fascinating reading, if one is interested in the connections between astronomy, astrology and mythology. � Education: B.A. from Harvard College; doctorate from the Center of American Indian Studies, University of St. Andrews. � His work is the subject of the documentary 'The War against Time' produced for European television. � One of the world's experts on Inka astronomy and sacred geography. Potatoes need proper amounts of rainfall at the proper times in their growing cycles. And in the Andean regions, rainfall is seasonal, usually starting in October, but every few years the onset of the rains is delayed by up to several weeks. So how have the Andean potato farmers been able to produce successful crops year after year in spite of the varying rains? For hundreds of years, the farmers have observed the cluster of stars known as the Pleiades, which become visible in the southern hemisphere skies in June. The farmers say that if the Pleiades shine brightly in June, this means that they can start planting their potatoes in October, as there will be adequate rainfall during the critical months of December through February. However, if the Pleiades look dim, then this means that the rains will be several weeks late, so planting is delayed until November. Three university researchers, Benjamin Orlove, John Chiang and Mark Cane, from UC/Davis and Columbia University, have just discovered the scientific basis for the farmers' predictions! They examined rainfall records and June sightings of the Pleiades from 1962 to 1988. During normal years, the Pleiades looked bright in June, the spuds got planted in October and the rains fell as they should during December through February. But every two to seven years along comes the phenomenon known as "El Ni�o." This is when the waters of certain areas of the Pacific Ocean warm up more so than usual. This weather-creating 'machine' then changes the normal weather patterns in many parts of the globe. In the Andes during an "El Ni�o" year, the rains are delayed by several weeks. And accompanying an "El Ni�o" pattern are thin cirrus clouds appearing very high in the skies over the Andes--in June! These cirrus clouds cause the Pleiades to appear dim to the naked eye. So for hundreds, or perhaps even thousands, of years, the Andean farmers have used this very reliable sighting of the Pleiades in June to accurately predict when to plant their potatoes! To read about the three other indigenous Andean tuber crops and their possible value to people the world over, click here.